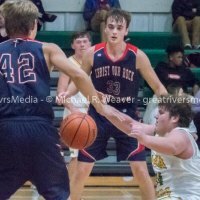 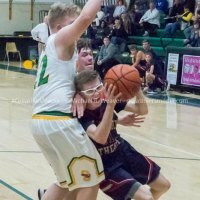 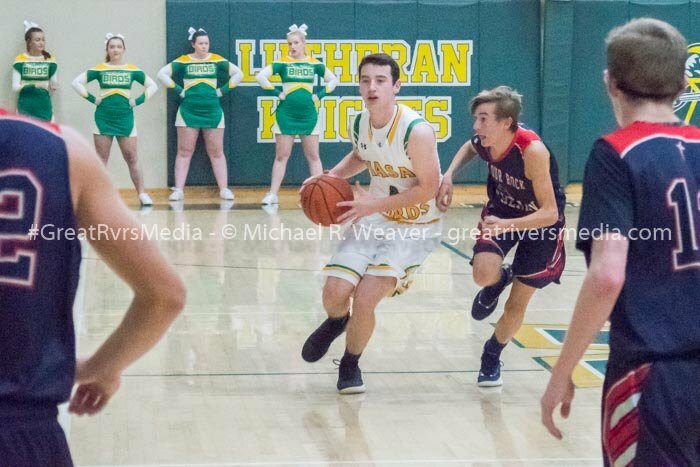 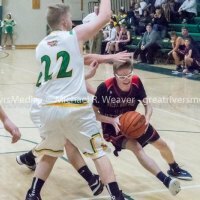 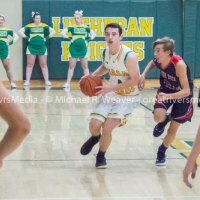 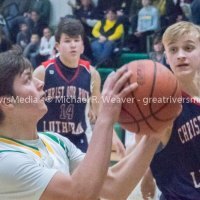 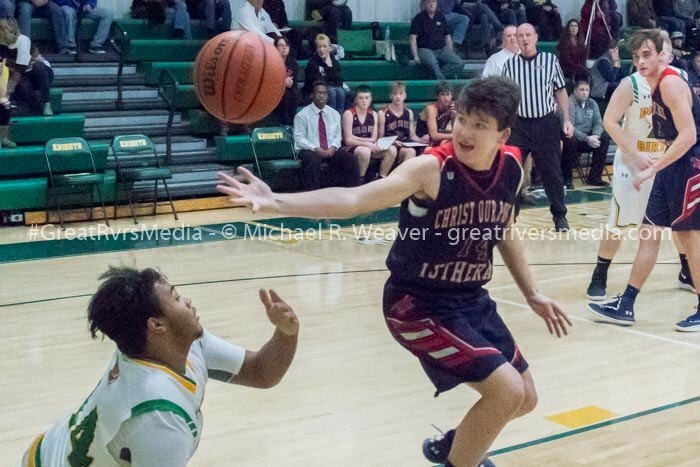 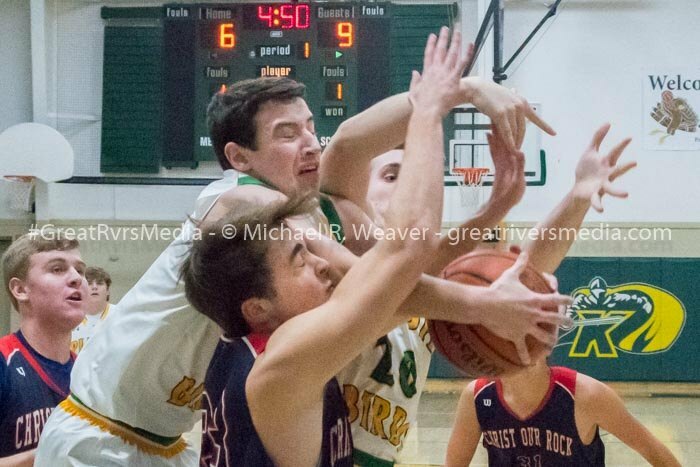 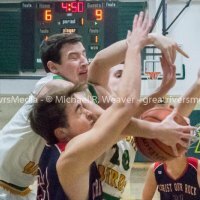 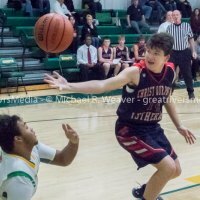 EDWARDSVILLE – Centralia Christ Our Rock Lutheran had a hot hand from the outside on Monday night in Southwestern’s boys basketball opener. 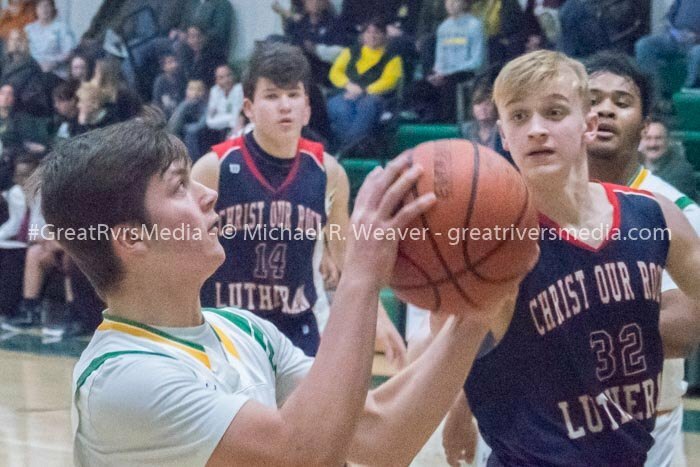 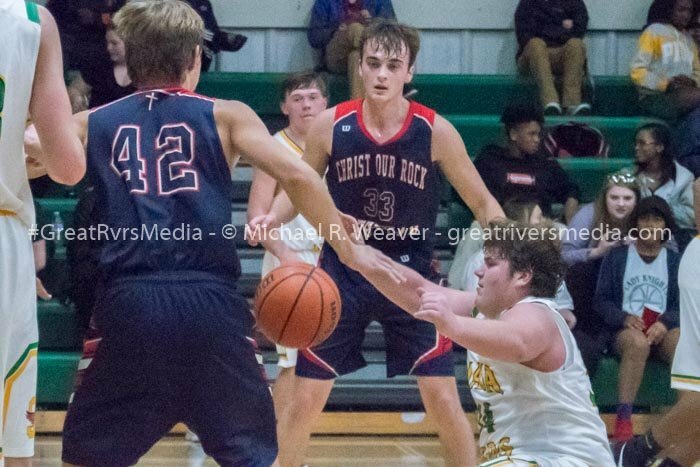 COR connected on nine three-pointers in a 70-55 win over Southwestern in the opening round of the 38th Metro-East Lutheran Turkey Tip-Off Classic Monday night at Hooks Gymnasium. 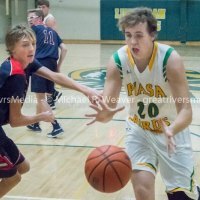 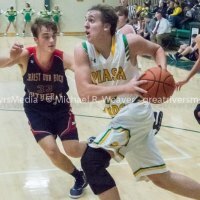 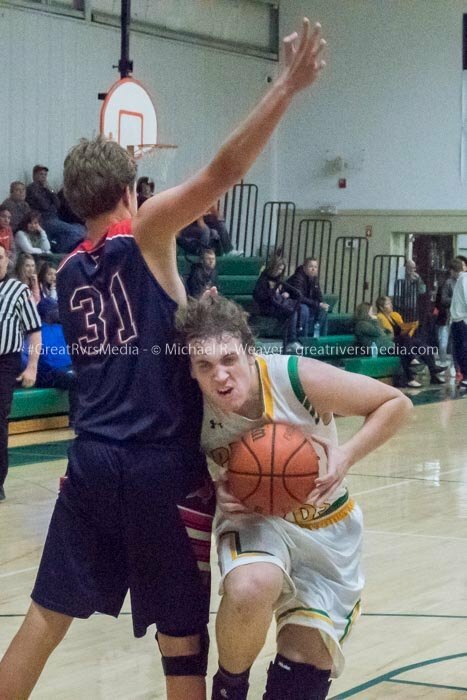 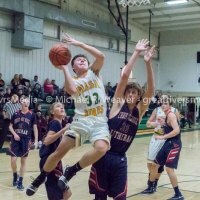 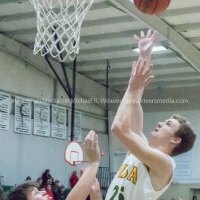 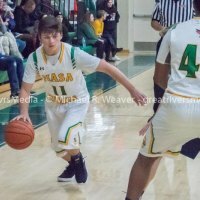 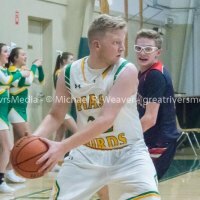 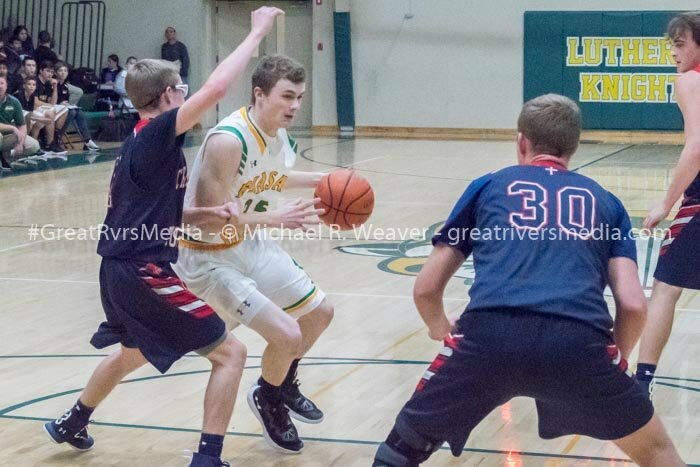 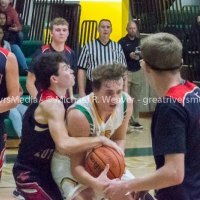 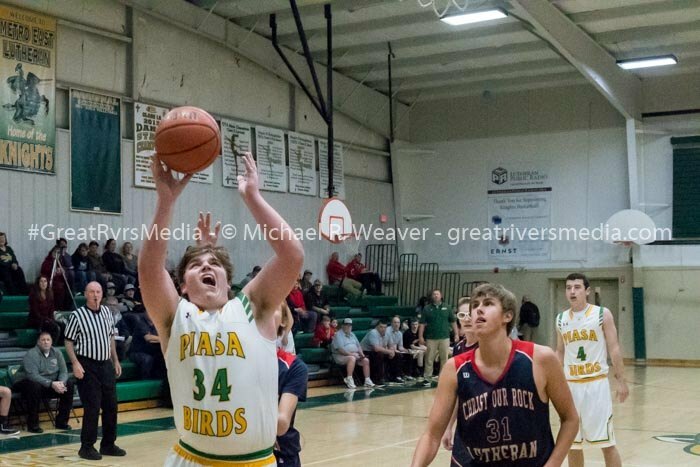 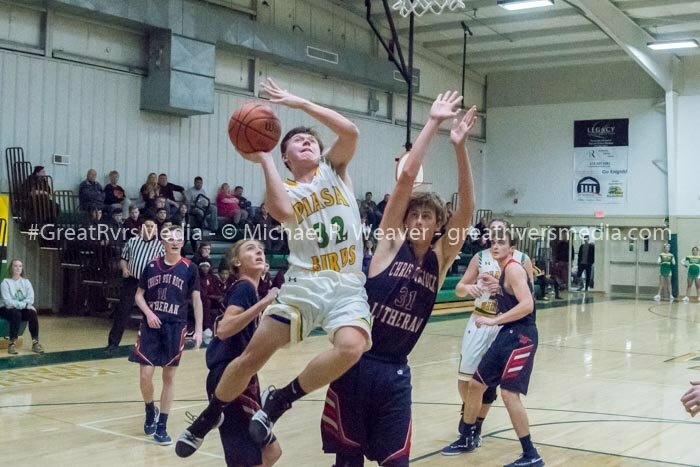 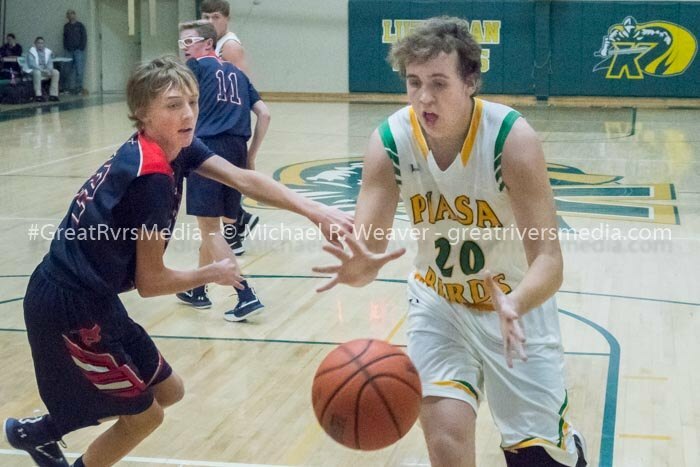 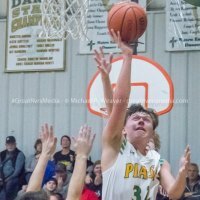 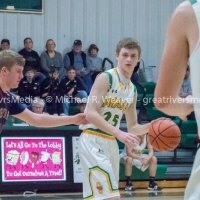 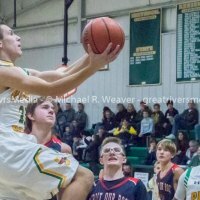 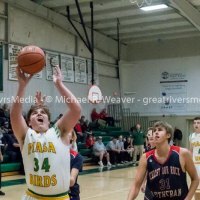 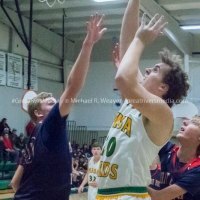 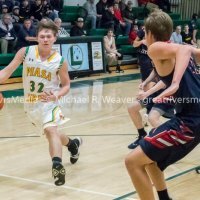 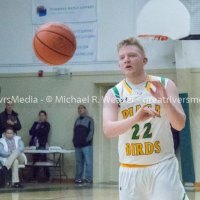 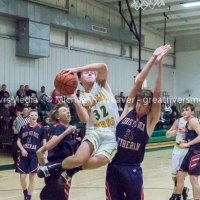 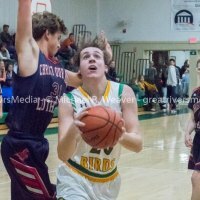 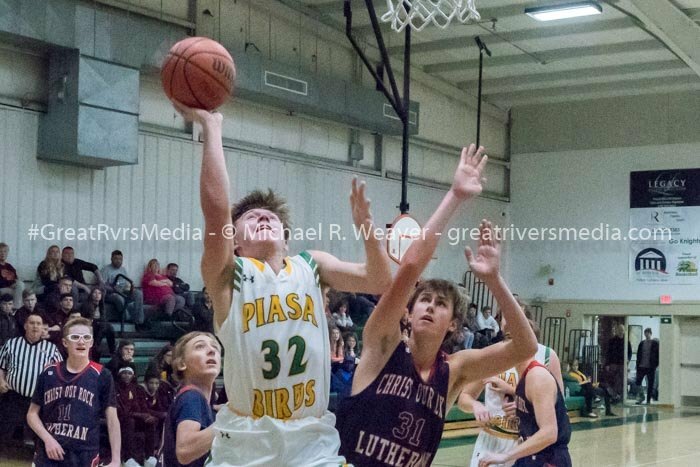 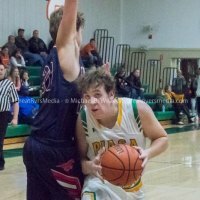 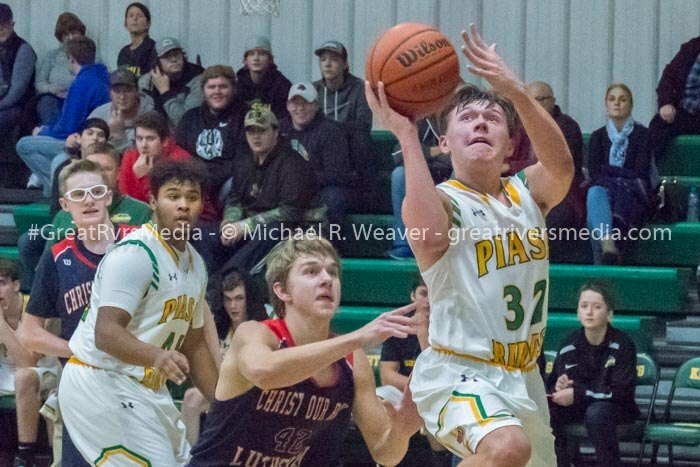 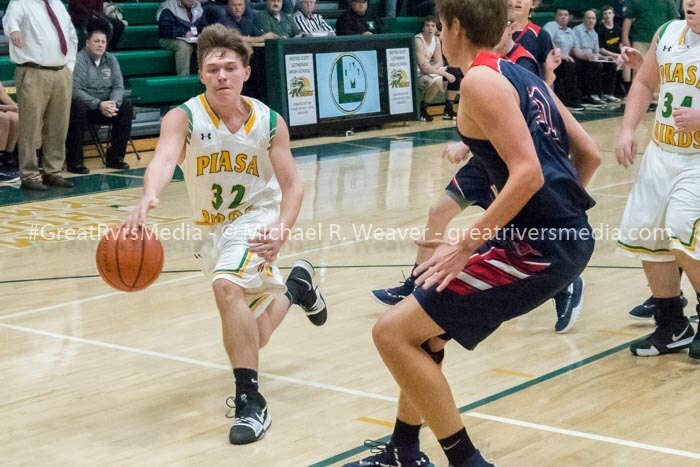 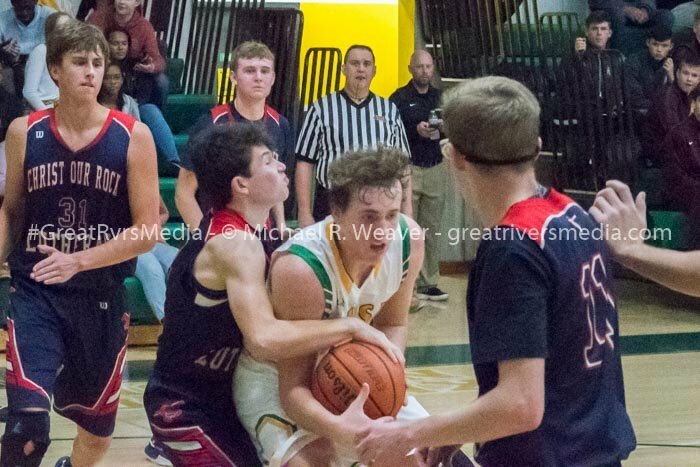 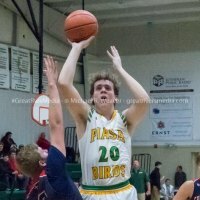 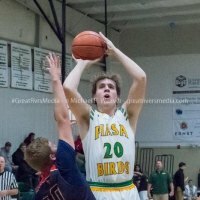 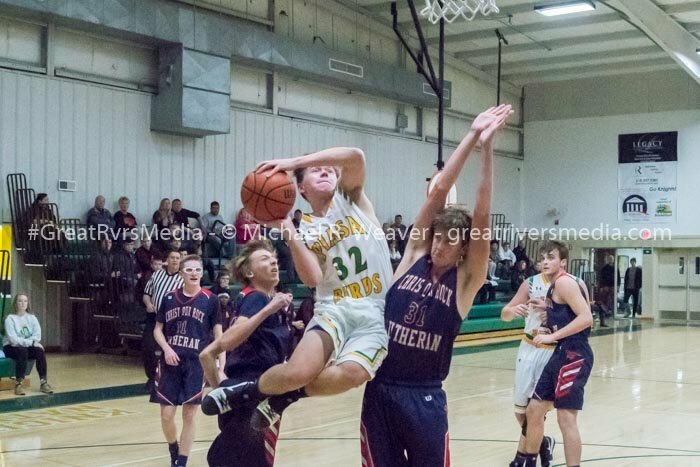 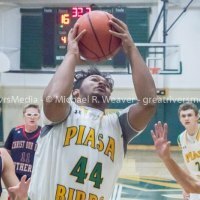 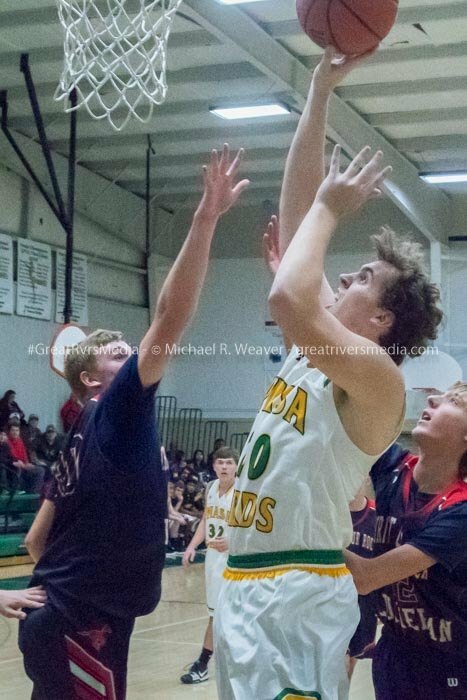 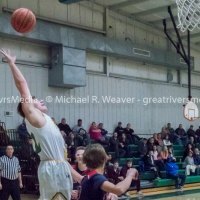 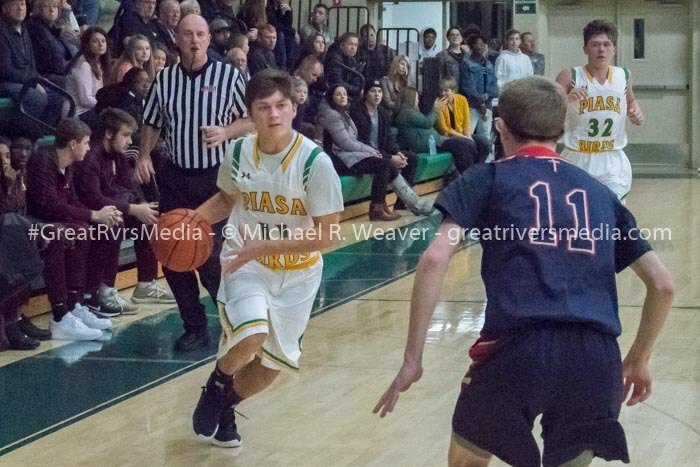 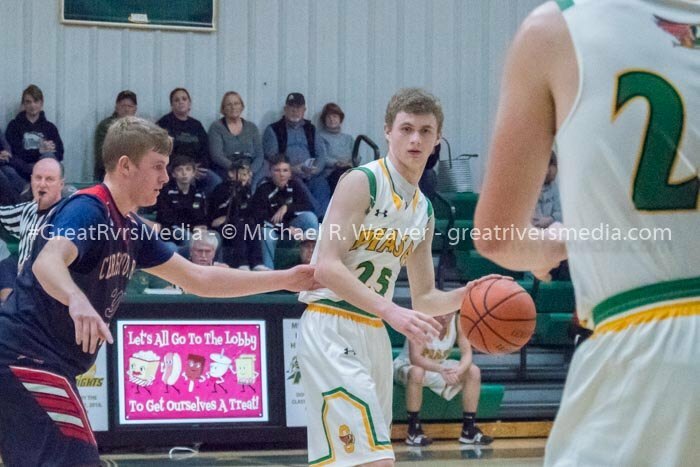 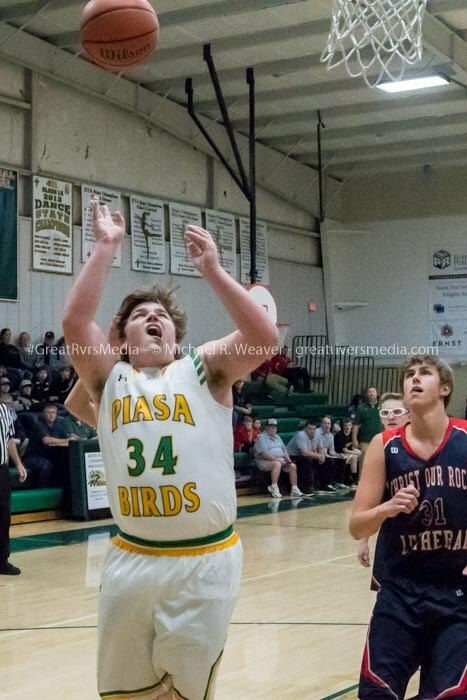 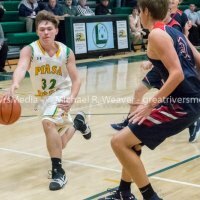 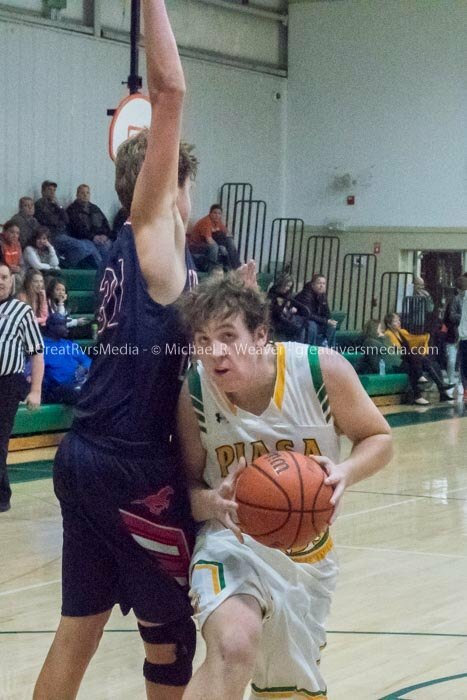 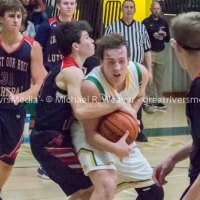 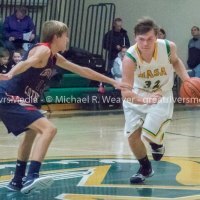 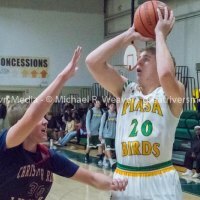 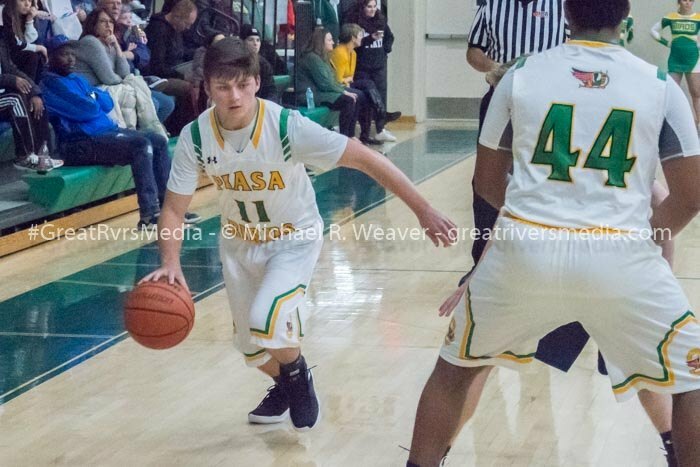 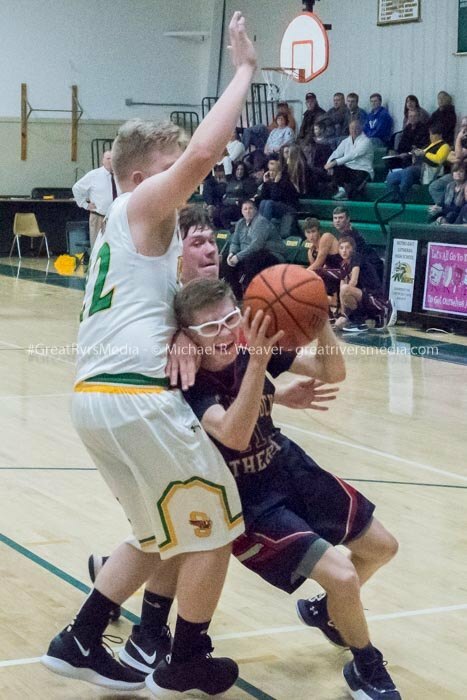 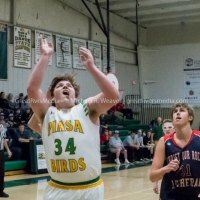 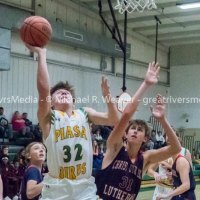 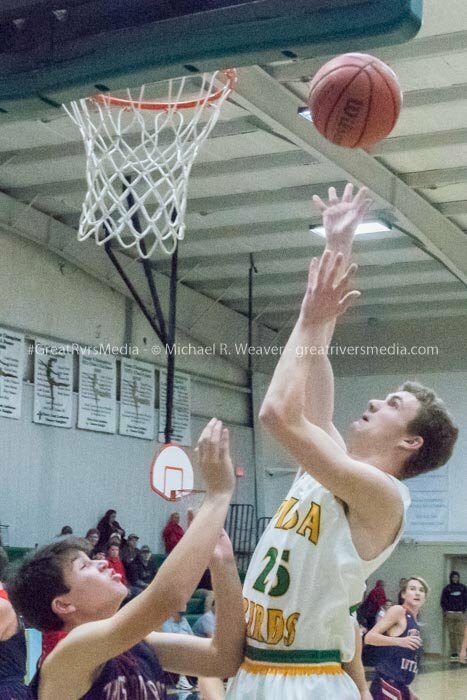 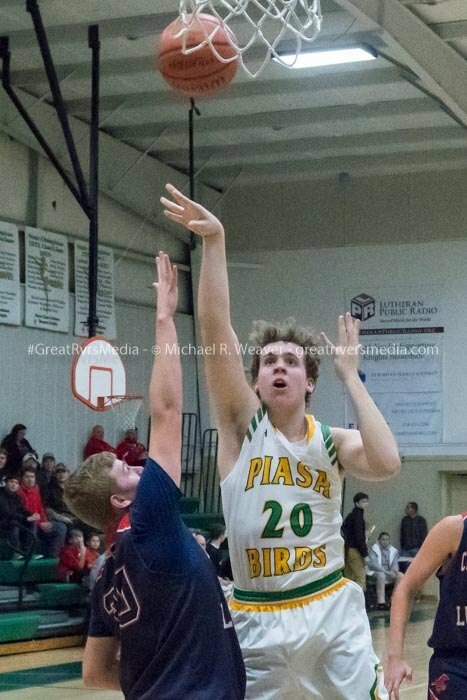 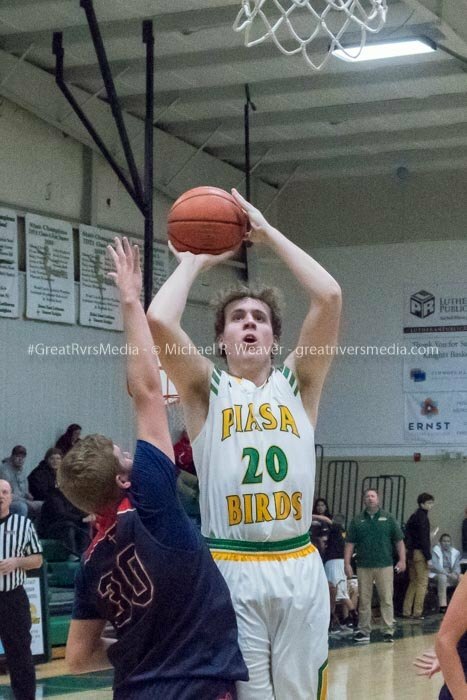 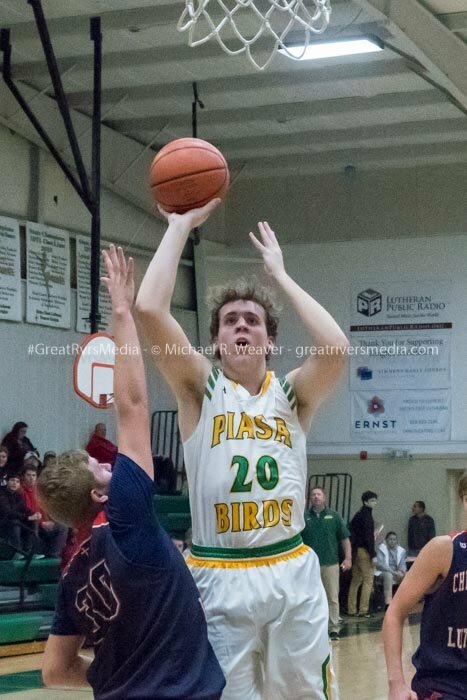 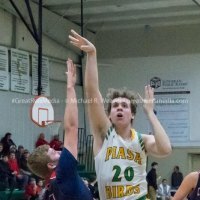 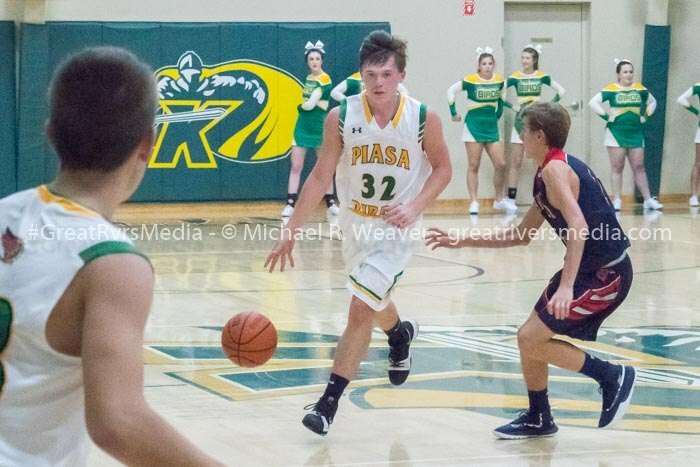 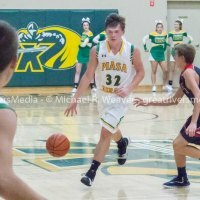 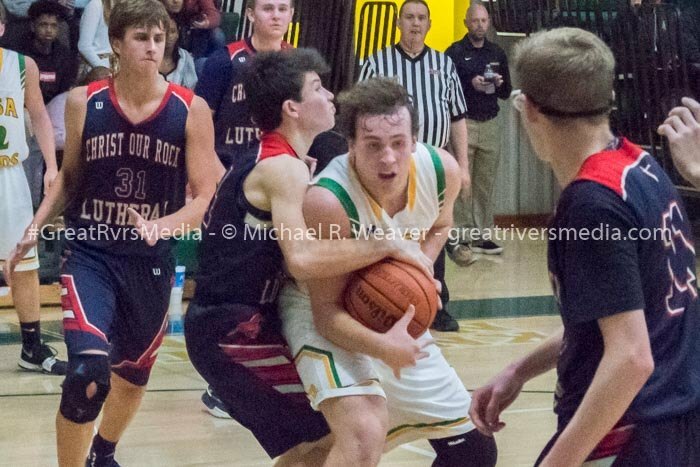 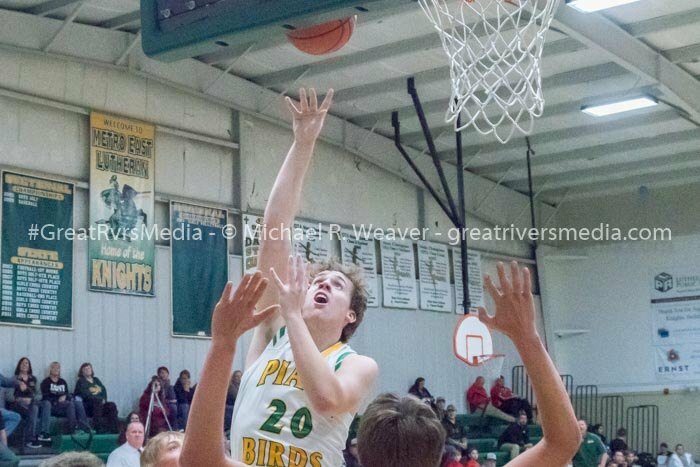 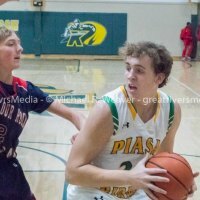 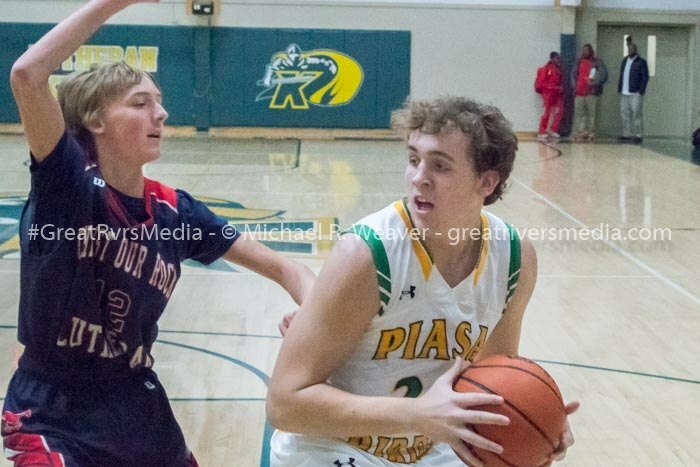 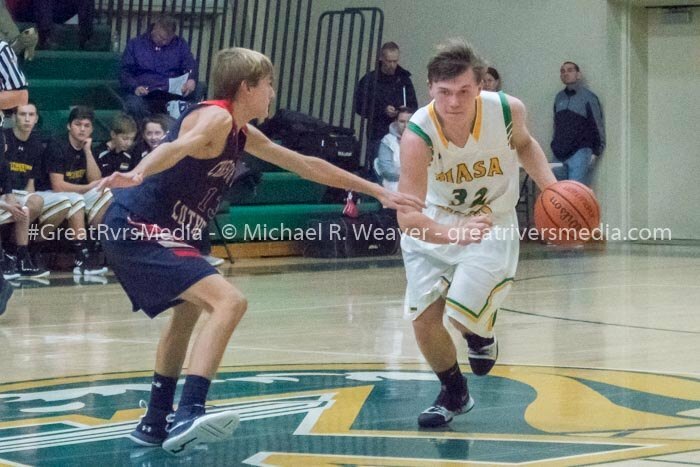 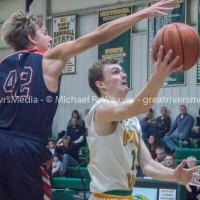 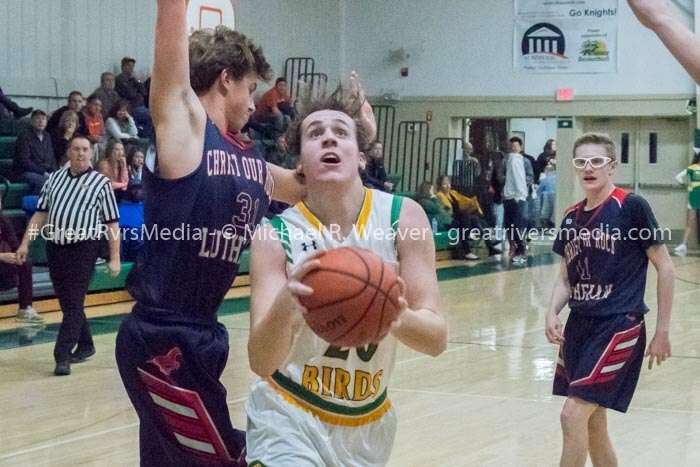 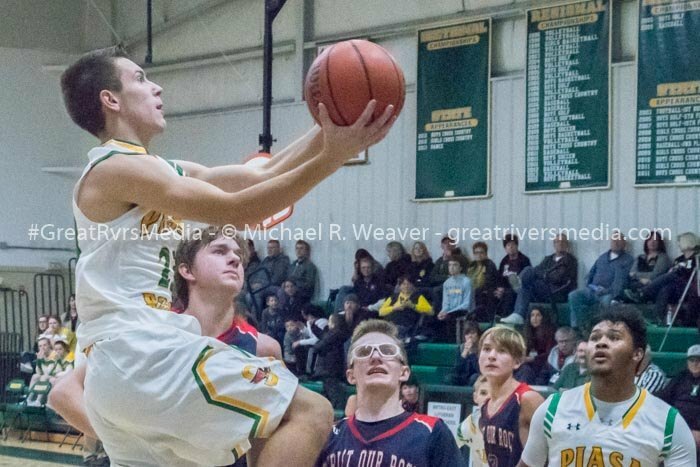 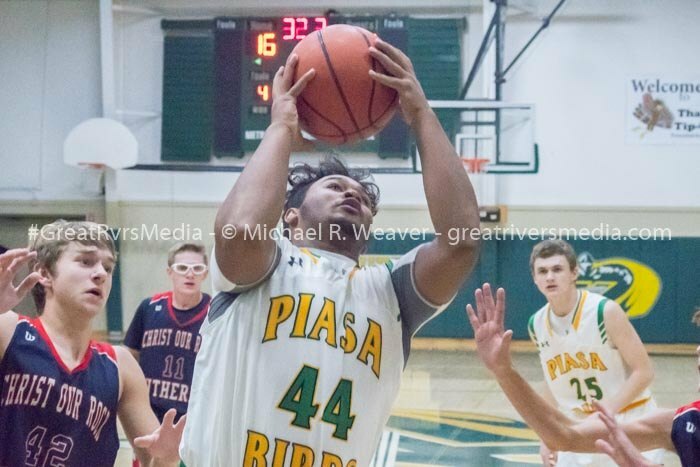 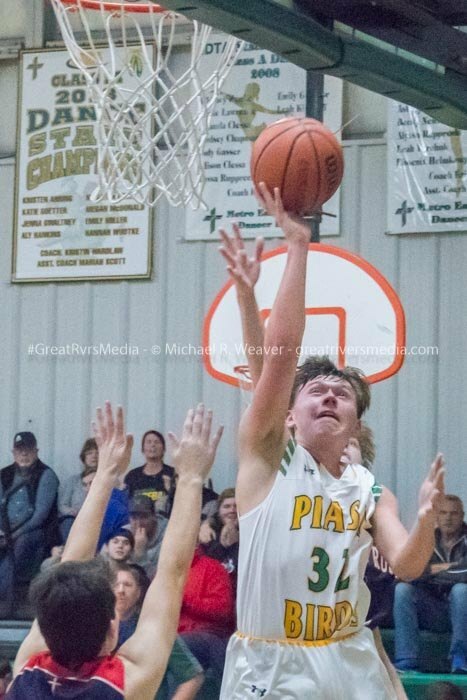 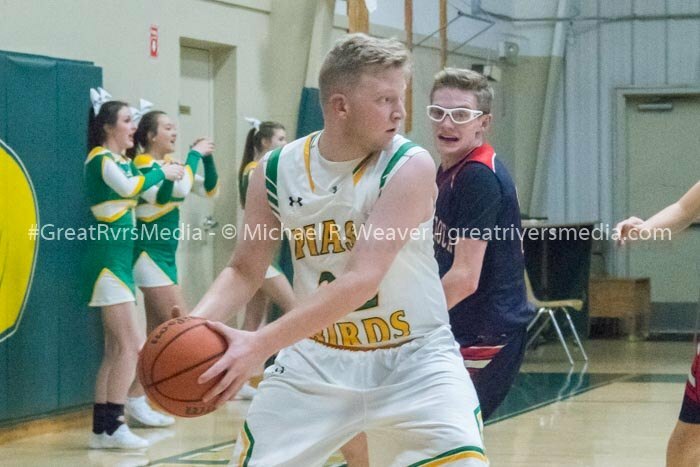 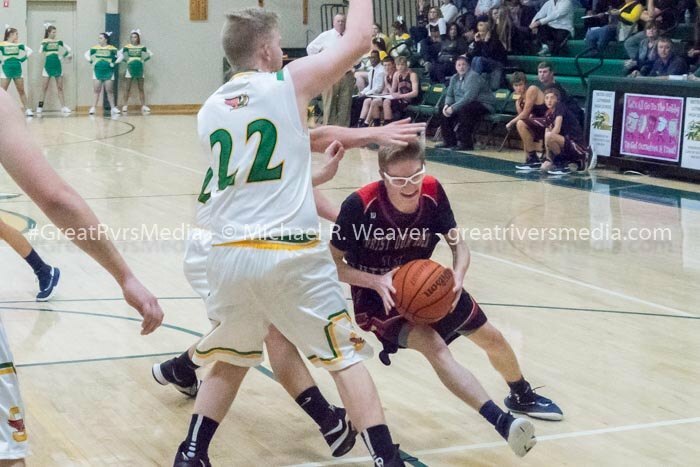 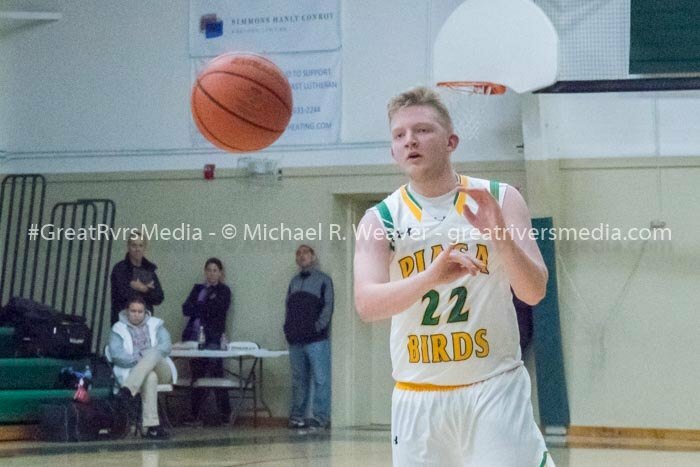 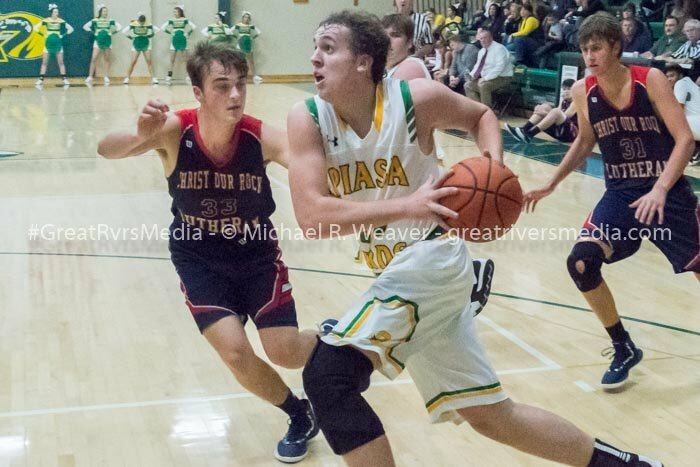 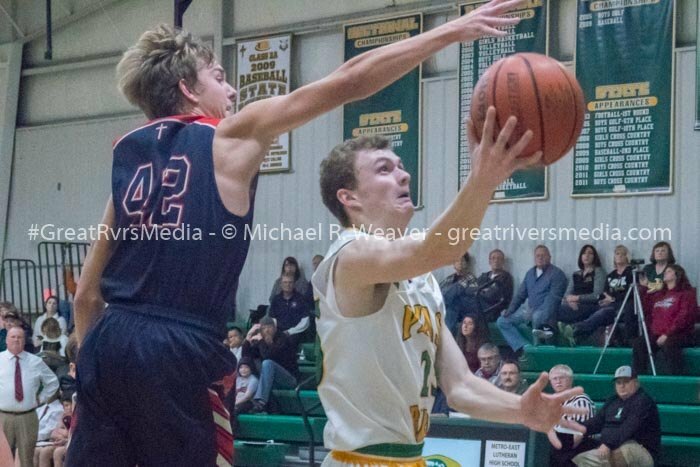 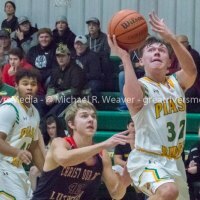 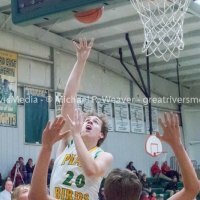 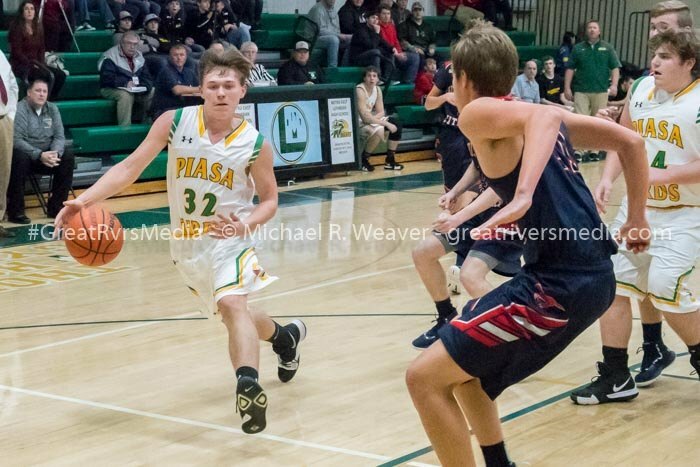 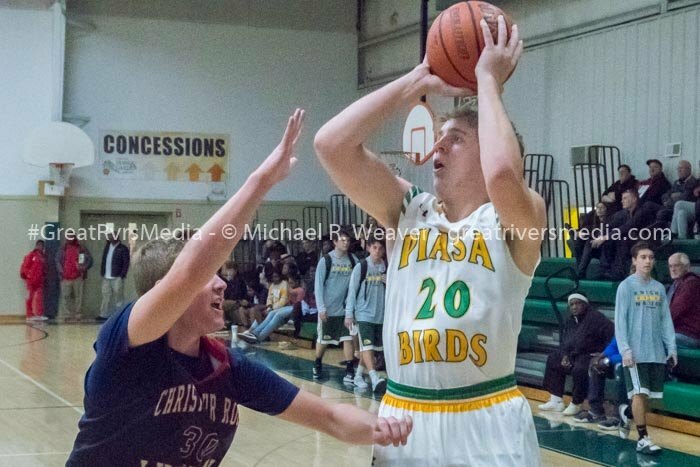 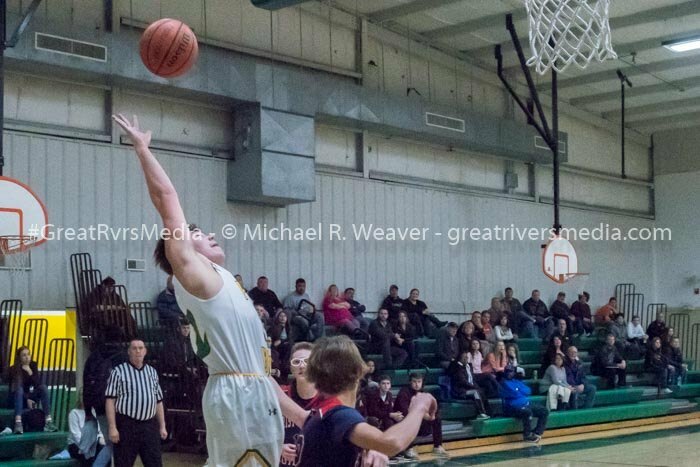 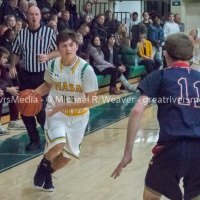 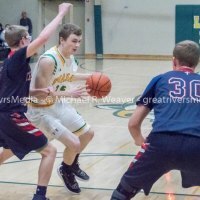 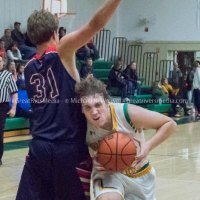 The Piasa Birds had got 17 points from Carter Moore and 12 from E.J. 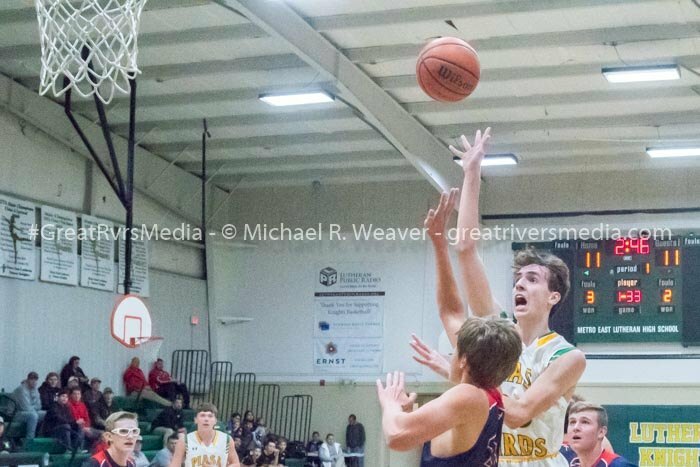 Kahl, but couldn’t overcome the Silver Stallions’ hot shooting. 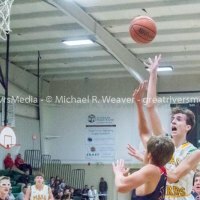 The Stallions will play Odin, a winner over Lebanon, in the quarterfinals Tuesday evening at 8:30 p.m., while the Birds will play the Greyhounds Wednesday evening in the consolation quarterfinals in the auxiliary gym at 5 p.m.